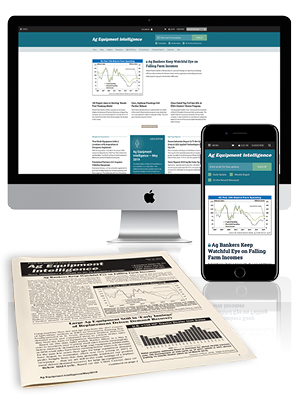 Comments submitted on this website (AgEquipmentIntelligence.com) are subject to approval from the editors of Ag Equipment Intelligence. We reserve the right to edit or not publish comments submitted through the Ag Equipment Intelligence website that do not fall in line with the following guiding principles. Constructive criticism is good as long as it has some basis in fact or points to a solution or other ideas. Comments from company representatives that promote the company's products or services will not be approved. Please email Michelle Drewek with any questions.